Great news! 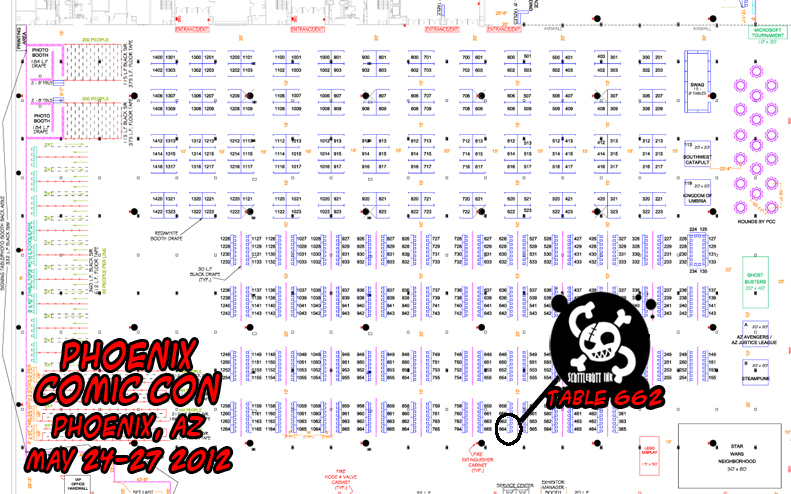 WE GOT IN TO PHOENIX COMIC CON! This weekend, JD will be heading to Arizona. It’s a bummer in some ways since it’ll be the FIRST TIME in ten years that both of us won’t be at Fanime. 🙁 Dusty will still be at the convention and hoping for a table to free up in the artist alley, so keep your fingers crossed for us. We’ll keep Twitter and Facebook informed as the situation unfolds! If you’re going to be at Phoenix Comic Con, be sure to stop by the booth and tell us you’re reading the comic — we’ll give you a free sticker! We’ve got a new voting incentive up again! This time we’ve got a human version of David. Help us out and get art by voting on TWC! Wish I could get to PHX.. No gas.. *sigh* .. I’m in Payson. Sorry I’ll miss you at PHX Comic Con! ‘posing & sparkles aside’ My, Mike, have you lost your mind? That’s the very point of combo attack! 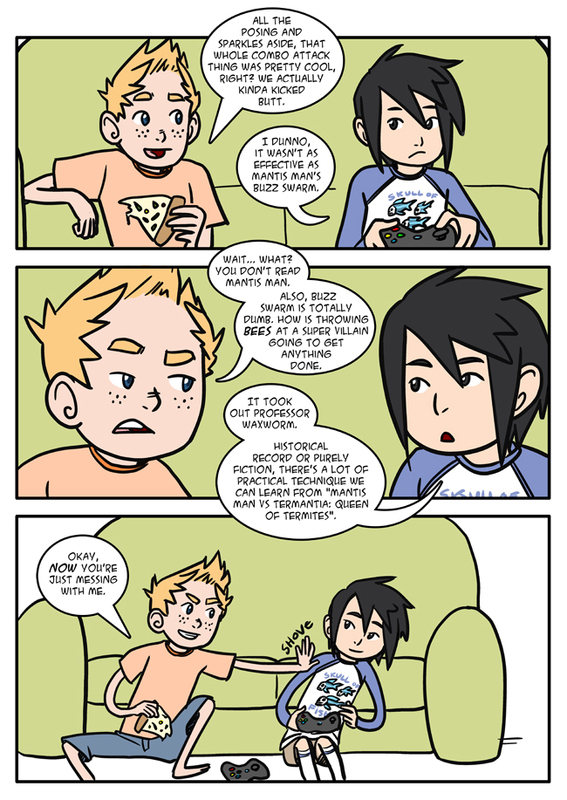 Did Yuki take his advenced bee terminology from Archie & Chloe over at Tripping over You? How come every time I read his lines, I hear him with the voice of Lord Voldemort from the Very Potter Musical series? Emotionally charged changes in pitch and all. You /obnoxious/ little insect! Aww, I was looking forward to seeing y’all at Fanime. NO, YOU DON’T UNDERSTAND. …BEES. Lol, bees! Wait, ya’ll got that from the movie “The Defender” right or was it “The Protector”? Hmm, I remember it had Woody Harrelson in in it. Didn’t see it, but the bee thing was in the trailer. Anyway, it might be effective if said supervillain was extremely allergic? That is just too cute. It’s good to see those two are such good friends. Btw, I am SO in love with Yuki’s shirt! Oh and have fun at the cons! OMG, Yes! I would soooo buy that shirt! You could put “Mahou Shounen Fight” on the back with a link to your fabulously awesome comic! I wouldn’t mind being a walking billboard for ya’ll if I was wearing that shirt! Why am I not wearing this shirt already? OH! Because it hasn’t been made yet…Yeah…I think this needs to happen. Can I vote for a short sleeved version as well…It’s just too damned hot in Florida for some long sleeves.